He has completed sold out runs at the Soho Theatre, Edinburgh Fringe and Melbourne International Comedy Festival as well as appearing on Kevin Hart’s Gala as part of Just For Laughs Montreal. Nazeem splits his time between Melbourne and London, and made his U.S. television debut on the new Netflix series Bill Nye Saves the World. 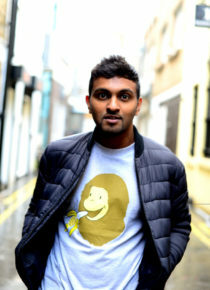 Naz returned to Edinburgh last August with new show Hussain in the Membrane.